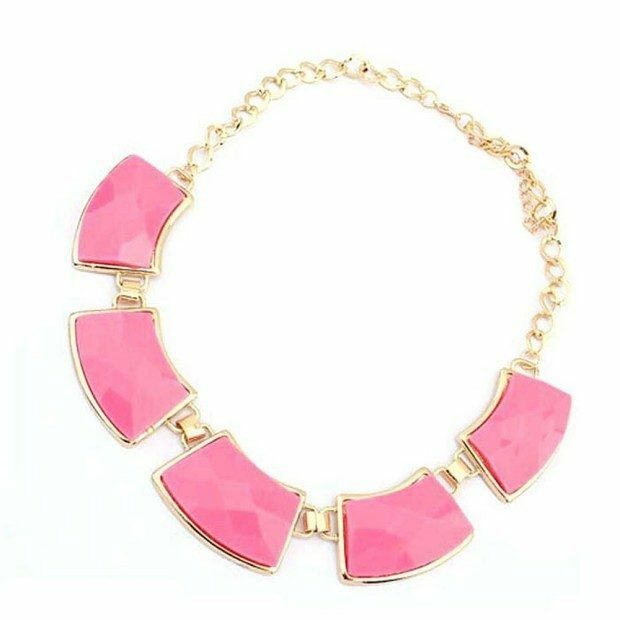 Chunky Alloy Statement Necklace Just $3.22 + $1 Shipping! You are here: Home / Great Deals / Amazon Deals / Chunky Alloy Statement Necklace Just $3.22 + $1 Shipping! Head over to Amazon and get this gorgeous Chunky Alloy Statement Necklace for just $3.22 plus $1.00 shipping! Choose from hot pink, black/white, colorful, or orange/yellow.